So you’ve decided to color your hair, but maybe you’re just after a little something to make the process less messy than it needs to be? Well then, you should definitely consider picking up some hair coloring gloves. 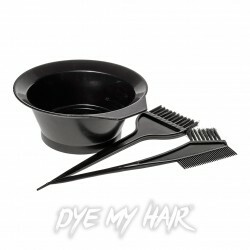 These single use accessories are a great way to keep your hands protected when dyeing your hair! It’s difficult to make the hair dyeing process completely mess free, but by using some of our hair dye gloves it becomes a lot easier to stop your hair dye from getting on things you don’t want it to! Gloves are a fantastic way to stop your hands from turning all manner of crazy colors – because we know how difficult hair dye can be to get off skin! These one use items just make your life easier, offering a hair dyeing experience that’s free of hassle. Another great thing about our protective gloves is that they’re disposable, meaning that once you’ve let them take a hair color bullet for your hands, you can simply chuck them away! 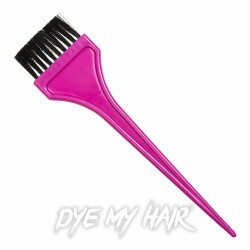 This helps make the process of dyeing your hair as quick and easy as possible! 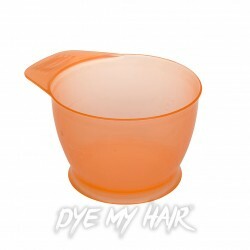 At Dye My Hair, we’ve got all the kit you need to make sure your home hair dyeing process is speedy and simple! If you’re after high quality hair dyeing accessories, then you should definitely consider Dye My Hair! 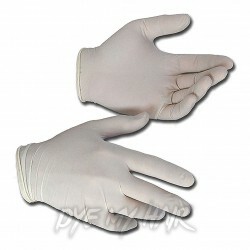 Our protective gloves are as good as home hair dyeing ones get! Not only that, but they’re also really reasonably priced – so they definitely are the best of both worlds. And it doesn’t matter what style you’re going for, hair dye gloves will ensure that the whole process is free from hassle – whether you’re after dip dye, ombré or something else entirely. So there really is no reason to go anywhere else! If you want to a new hair color that is bold and bright – making just about everyone jealous – then we really do have you covered. So what are you waiting for? Be sure to pick up some of our gloves for dyeing hair today! Our multipurpose single use gloves are certain to ensure that you can get the incredible hair color you want – whether it be blue, red, yellow or something else! – with minimum amount of mess! Here at Dye My Hair we understand just how important hair care really is! With an extensive range of color safe, moisturising and protecting shampoos and conditioners available, be sure to make Dye My Hair your next one-stop shop for all things nourishing! What’s the importance of using Color Protecting products? Although it’s not an absolute ‘must’, here at Dye My Hair we highly recommend utilising hair care products that are designed with hair dye ‘after-care’ in mind. Dyeing and bleaching can often be a harsh process on your hair, so it’s highly important that you help your luscious locks as much as you can on their way to recovery and sparkling stardom! Locking in all those vibrant and funky new colors you’ve just added to your style, using Color Protecting products is an effective way to achieve that professional sheen for much longer than with your usual, everyday go-to shampoo. Similarly, everyday shampoos can often contain sulphates and detergents, such as sodium/ammonium lauryl sulphate, which can often make up nearly 15% of each bottle; that’s a whole lot of harsh chemicals! Although great at cleansing your hair of built up dirt and oil, it can often strip your hair cuticles of its crucial color molecules. If you’re looking for a test-assured way to lock in moisture, color and volume then our extensive range of color safe shampoos and conditioners are guaranteed to meet all your dyeing needs. How Soon Should I Wash My Hair After Coloring? – Although we can’t speak for everyone, here at Dye My Hair we recommend waiting at least 48 hours before you opt for the wash! Although we understand that this isn’t practical for everyone, the longer you leave it the better! What Water Temperature Is Best? – Washing your freshly colored hair with warm water is much better than if you are to use hot water. By using warm water, you minimise the risk of opening up your hair cuticles and thinning the color. I’m Planning on Applying a Number of Different Colors, When Should I Wash My Hair? – If you’re looking to add different shades to your hair, then we best advise that you wash and dry your hair separately, in between each dye session. What Should I Do If My Hair Bleeds After I’ve Washed It? – It’s highly common for newly colored hair to bleed when wet. If this happens, we suggest that you ensure your hair is completely dry before you sleep or choose to wear light colored garments. It may also be a good idea to make good use of those old towels and bedding just in case! Although some may prefer to utilise regular shampoos and conditioners after the coloring process, our extensive range of color protecting formulated products is a perfect alternative for those seeking something a little different. Please note that it is worth double checking your hair dye kit insert as to what types of shampoos and conditioners will work best for your look! 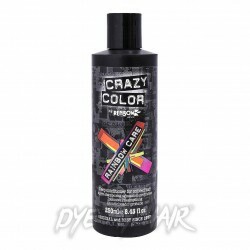 Here at Dye My Hair we want our customers to get the most out of their hair dye experience. 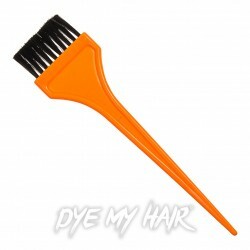 From their initial color and product choice to the washing process, Dye My Hair is here to point you in the right direction! Make sure you're 100% ready to dye your hair and pick up the Vinyl Gloves 4 Pack! 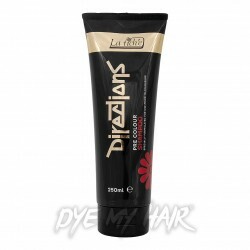 Get a hair colour that'll really make an impression and snap up the La Riche Directions Colour Protecting Conditioner! 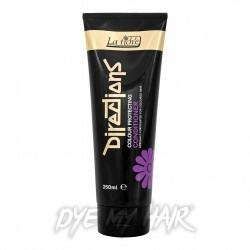 Ensure your new hair colour's going to look its best with the La Riche Directions Pre Colour Shampoo!